Dennis W. Jahnigen, MD (1947-1998), was acclaimed as an extraordinary teacher, receiving numerous awards from students and faculty. In 1998, the AGS awarded him the Milo D. Leavitt Award to recognize his distinguished career in geriatrics education. Dr. Jahnigen's clinical skills and heartfelt, compassionate concern for older adults continue to flourish in the many students who have benefited from his teaching and mentorship. A letter of nomination. 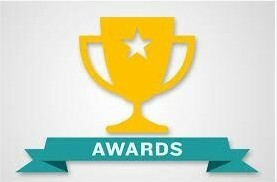 The nomination letters must attest to the applicant’s involvement in the AGS and the field of geriatrics, and must specifically address how the individual's accomplishments relate to the purpose of the award. The nominee's biosketch (NIH-style, 4 pages maximum), and a mentoring table/summary. Travel expenses to attend the AGS Annual Scientific Meeting.